Godspeed you Choom Flavored Madman! Godspeed and may all in your way turn to ash under your withering hail of Martian Flavored Death Beams. Bless them with ash, Brother KBA! Let the screams of your enemies die by the sound of Choom! Choom for the Choom God! Ash for the Ash Throne! When we last left Terra, we departed as an army of unification, seeking to bring our long-lost brothers into the warm embrace of the Imperium. We leave today with a very different purpose. Out there, among the stars, cower entire worlds which bear responsibility for the fall of our brothers, our sisters, and our Emperor. We shall not offer terms as we once did. No opportunity for assimilation will be provided. We will fall upon these traitors as a vengeful storm, and we will only destroy. There will be no mercy. There will be no remorse. We will purge the taint of their existence from the galaxy, and in doing so, redress some small measure of our failure here. Today, for the glory of the Omnissiah, my Tech-Priest Dominus earned his CHOOM against a rogue Astra Militarum Commissar. Three wounds needed, five unsaved wounds achieved. Edited by Carlson793, 29 May 2016 - 12:50 AM. SOTS, that is one bad mother.. I haven't seen any links buuuut what I tend to do is with your selected colour, be it red/blue/green etc darkest colour in first onto the coils and where ever else you'd like glow to come from, highlight areas with a brighter red, wash with the same colour for some depth, dry brush around the coils and over the top of the coil's with either the highlight colour or a suitable dry paint, and finally if you're feeling frisky, very thin white highlight on the coils. Has anybody had any experience running two Volkite Caliver support squads? I am looking to possibly add another to my Sons and thought the larger range and higher strength plus the opportunity to have crossfire from the two squads could be fun. For a second there, I had to actively work out what the Ordinatus had to do with a thread dedicated to choom. And then I remembered the secondary weapons. Hi guys, can I join your super cool "Yes, were all really big fans of Mars Attacks" club? Bloody hell monolith those are beautiful. Those are some beautiful angels. With that head or Justaerin helmet? That is the question. Edited by Finnish Hammer, 31 May 2016 - 01:39 PM. Those Blood Angels are lovely. Are you a Primarch or Librarian? If not then Helm up son! Hng. I think I just had a palpitation. My word those are on the money. Please, feel free to take a signature image from the opening posts of the thread, brother. Is it acceptable to turn the post office to ash to get my beloved choom instead of waiting til 7am? Only with approval that the postal workers are heretics, which, frankly, probably isn't too hard to do. I was browsing Whitescar's painting log when I stumbled upon his glaive, and I realized with untold horror that Olis hadn't liked it, which could only mean one thing; he hadn't seen it. 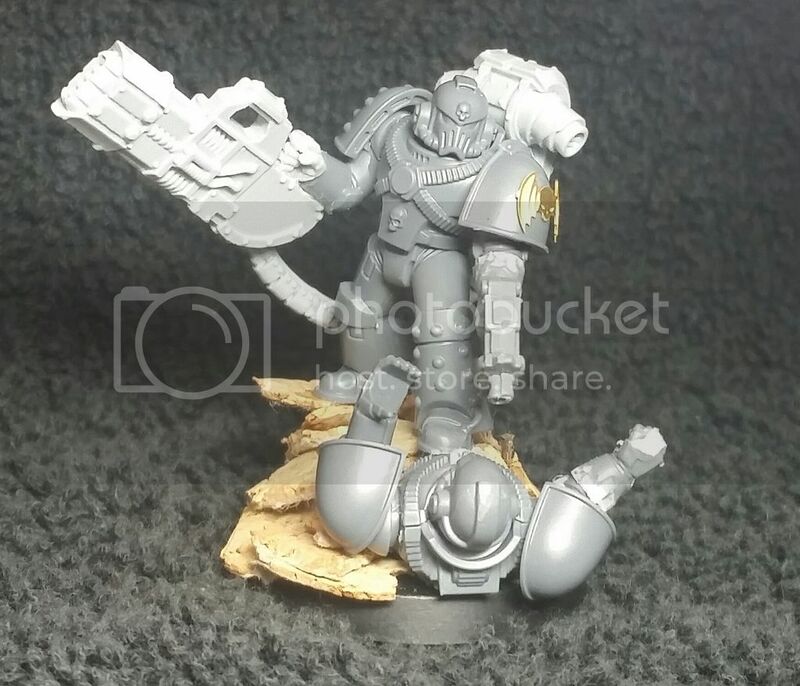 So here's a link to Whitescar's Night Lords glaive, right after the dirty inferior choomless thallaxes. Let no Glaive go unapproved, let no choom pass quietly into the night. The MDRC loves all death ray goodness. You'd be entirely right, KotR. I had not seen it. Now I have and all is right in the world again. EXECUTION! forward assist can you tell me your scheme recipes? Ha! Nice. Base coat black, light dry brush Vallejo Dark Grey, Nuln Oil wash, and edge highlight Vallejo Basalt Grey.